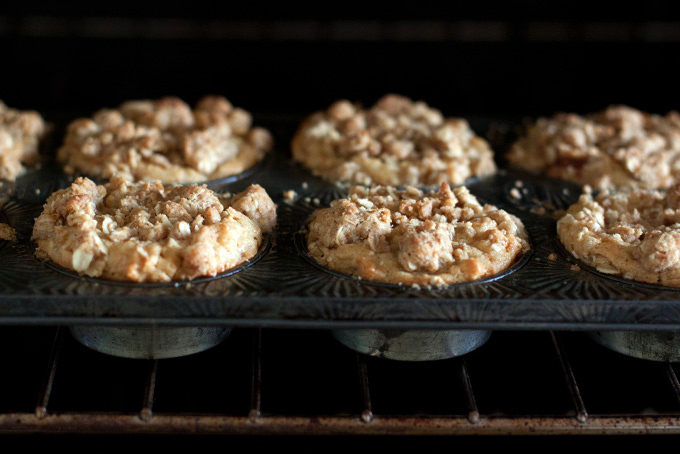 Muffins are one of the great gateways to baking. Even people who don't fancy themselves bakers are inclined to tackle a muffin recipe now and then. These are some long-time favorites. They're worth making, and worth eating. Many of them also freeze reazonably well, although I'm hesitant to type that sentence ;)....A couple tips - don't over mix the batter, or you'll end up with tough muffins. And don't be afraid to experiment with seasonal fruits, and alternative nuts and seeds. 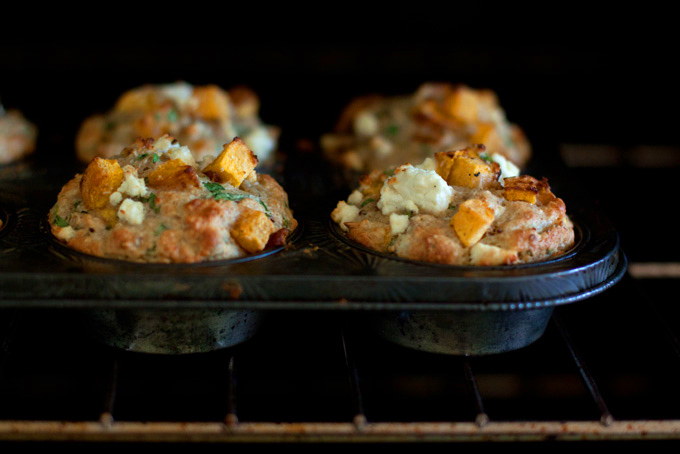 Savory muffin fans, these are absolutely for you. Packed with spinach, feta and Parmesan cheese, black pepper, mustard, and sunflower seeds. They don't disappoint! Get the recipe here. These are genius. 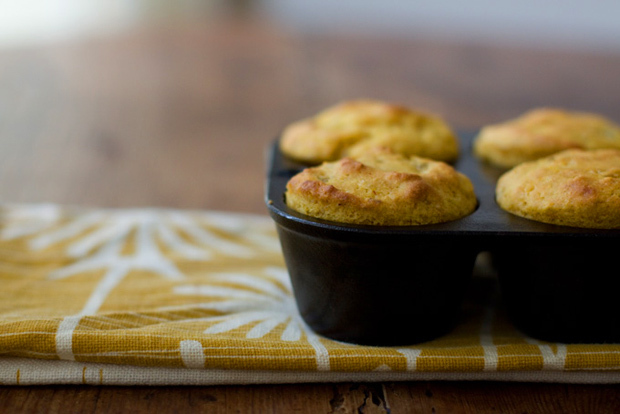 Muffin meets turmeric lassi with(!) a granola top. I mean, just look at the photo. Get the recipe here. 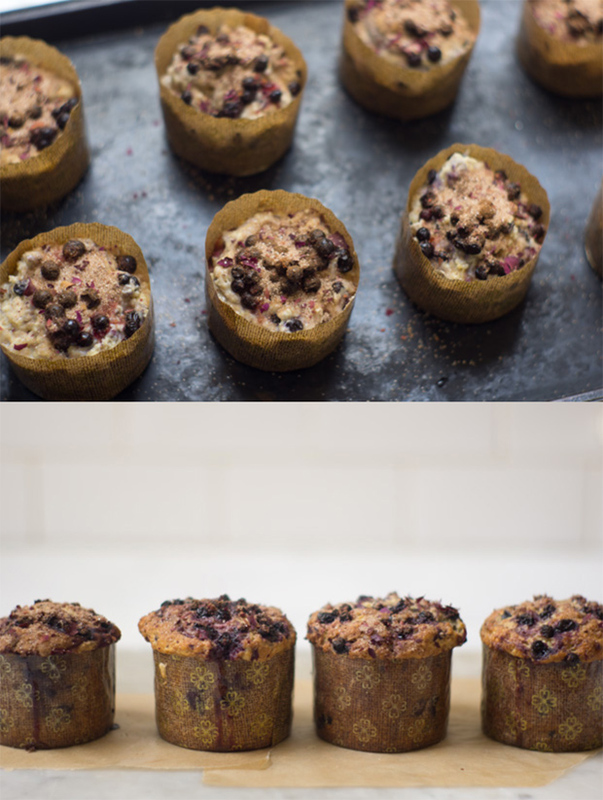 One of my FAVORITE muffins - berry-streaked with sugar-sparkled tops, big flavor, buttermilk tender texture. Get the recipe here. 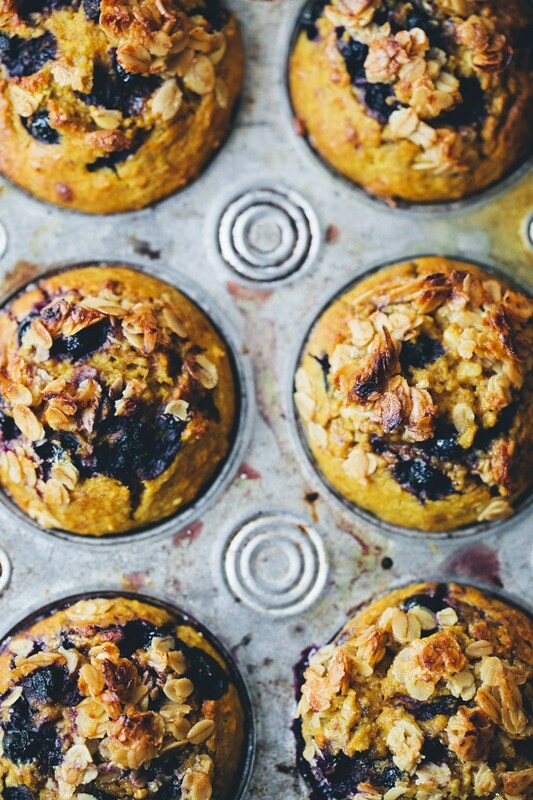 These muffins combine the perfect trifecta of banana, blueberry, and quinoa. 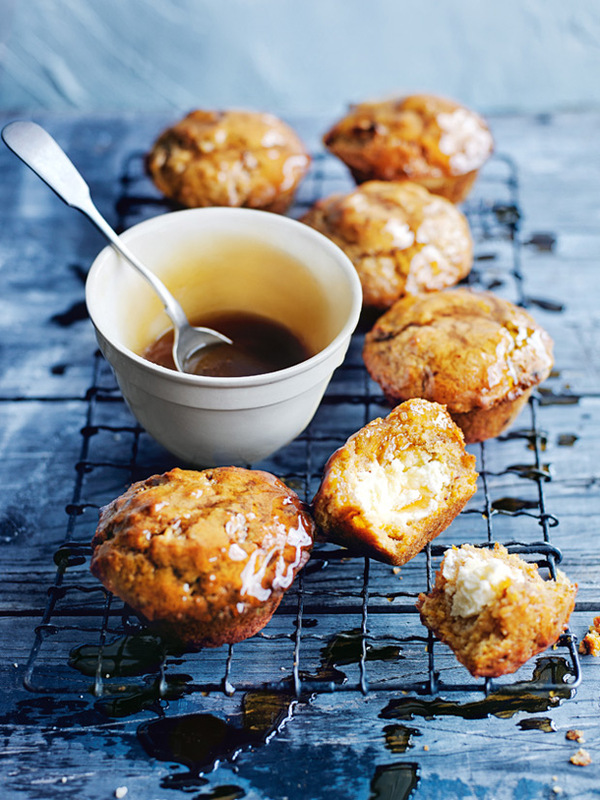 Honey sweetened with a boost of brown sugar, and made with whole wheat flour, they fit squarely in the healthy-ish category. Get the recipe here. Crumble-topped with an oatmeal and yogurt base. And when I say, crumble, I mean the type of crumble you put on top of fruit before baking. These are a bit custard-y when hot, and not-at-all when cooled. Craggy, golden-topped, and delicious! Get the recipe here. 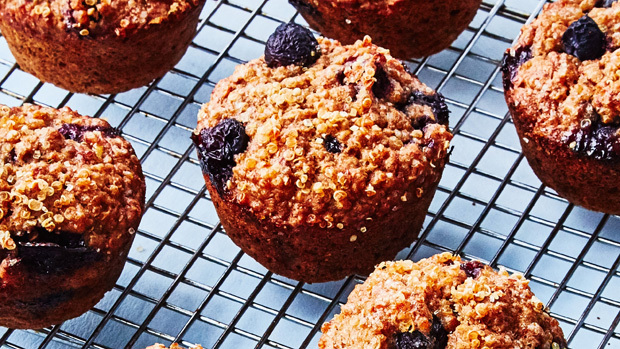 Dates are the primary sweetener in these decadent in these carrot-packed beauties.You can also swap in whole wheat pastry flour (don't forget to add baking soda and/or powder) for more whole grain goodness. More details here. 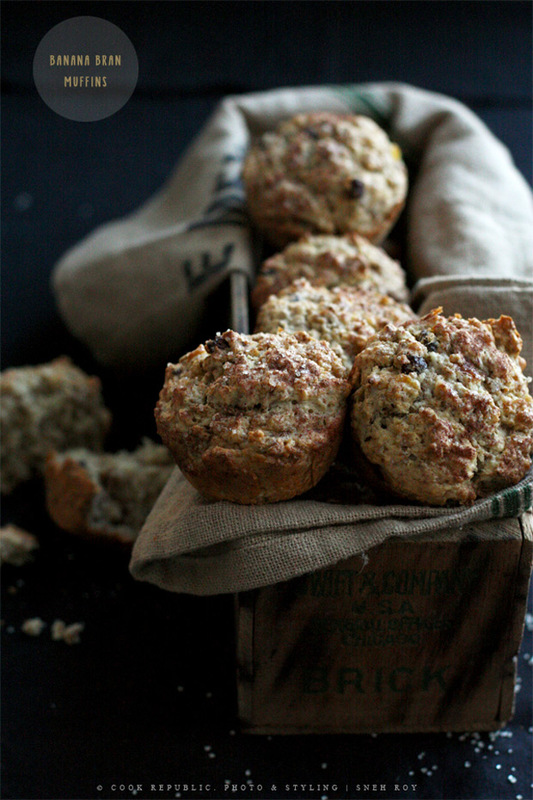 Honey-kissed, but with no added sugar beyond that, these whole wheat flour muffins are heary and substantial. You can use whatoever bran you like, wheat bran, oat bran, etc. Get the recipe here. 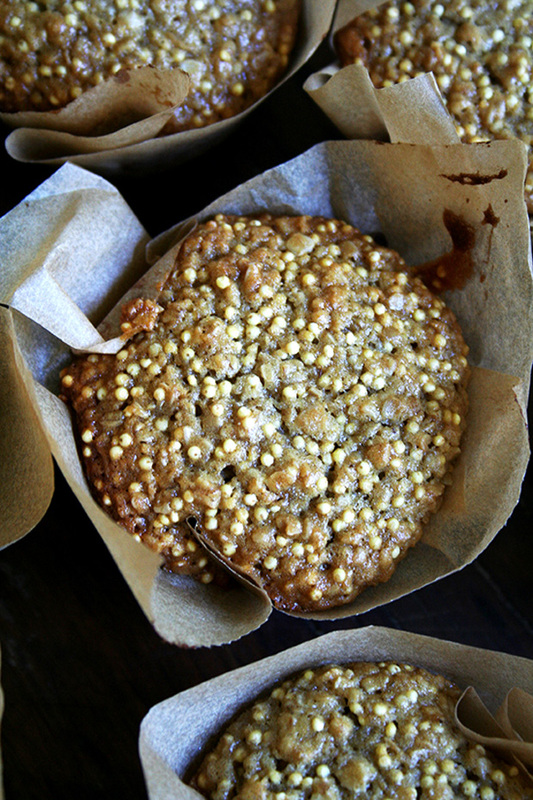 I love love love a millet muffin. These are extra special because they incorporate a generous amount of oats as well. Get the recipe here. Saffron-smacked and riddled with golden raisins, buttermilk battered and barely sweet. Said another way, Lucia buns reinterpreted as muffins. If you love saffron give them a try. Get the recipe here. Give this banana bread recipe a go! It's perfect if you're craving classic banana bread flavor and texture, but want as little mess, drama, and equipment as possible. It's the laziest, best, one-bowl banana bread I know. Perhaps the only waffle recipe you need. The best. Enjoy!